Knopf Publishing Group, 9781101874721, 256pp. A dazzling new collection--two novellas and four short stories from one of the most revered writers of our time, author of seven books of fiction, among them The Tunnel ("An extraordinary achievement"--Michael Dirda, The Washington Post); Middle C ("Exhilaratingly ingenious"--Cynthia Ozick, The New York Times Book Review, cover); and Cartesian Sonata ("The finest prose stylist in America"--The Washington Post). It begins with "In Camera," the first of the two novellas, and tells the story, which grows darker and dustier by the speck, of a Mr. Gab (who doesn't have the gift) and his photography shop (in a part of town so drab even robbers wouldn't visit), a shop stuffed with gray-white, gray-bleach photographs, each in its own cellophane sheet, loosely side-filed in cardboard boxes, tag attached . . . an inner sanctum where little happens beyond the fulsome, deep reverence for Mr. Gab's images and vast collection, a homemade museum in the midst of the outer maelstrom . . . until a Mr. Stu (as in u-stew-pid) enters the shop, inspecting the extraordinary collection, and Mr. Gab's treasure-filled, dust-laden, meticulously contained universe begins to implode . . . In the story "Don't Even Try, Sam," the upright piano from the 1942 Warner Bros. classic Casablanca is interviewed ("I know why you want to talk to me," the piano says. "It's because everybody else is dead. Stars go out. Directors die. Companies fold. But some of the props get preserved. I've seen my friend the Vichy water bottle in the storeroom as wrapped up as the Maltese Falcon. We'd fetch a price now") . . . In another story, "Charity," a young lawyer, whose business it is to keep hospital equipment honestly produced, offers a simple gift and is brought to the ambiguous heart of charity itself. In "Soliloquy for a Chair," a folding chair does just that--talks in a barbershop that is ultimately bombed . . . and in "The Toy Chest," Disneylike creatures take on human roles and concerns and live in an atmosphere of a child's imagination. An enchanting Gassian journey; a glorious fantasia; a virtuoso delight. 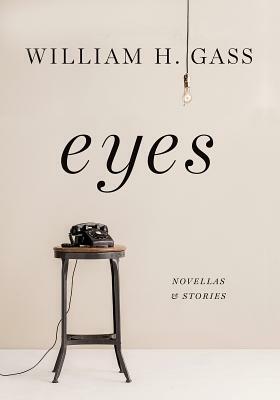 William H. Gass--essayist, novelist, literary critic--was born in Fargo, North Dakota. He is the author of seven works of fiction and nine books of essays, including Life Sentences, A Temple of Texts, and Tests of Time, and was a professor of philosophy at Washington University. He died in 2017.